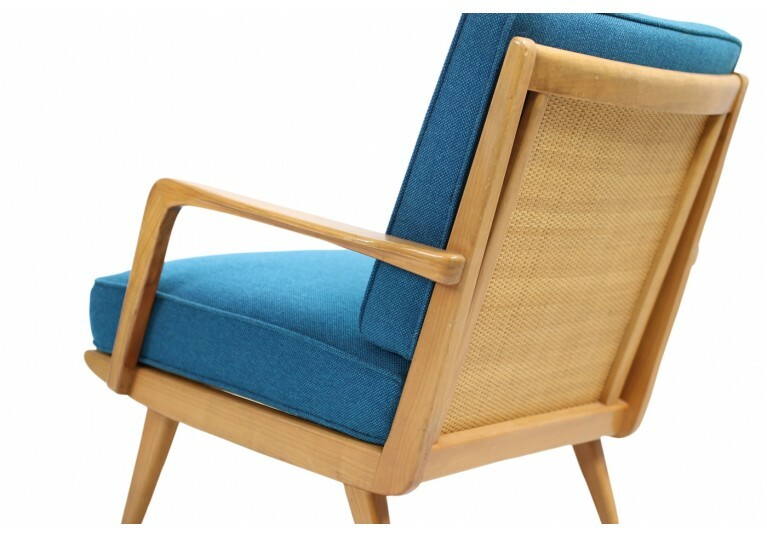 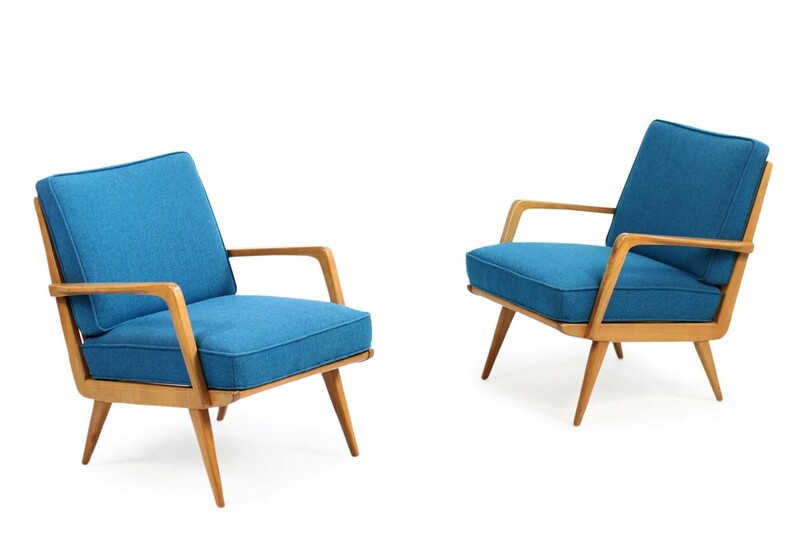 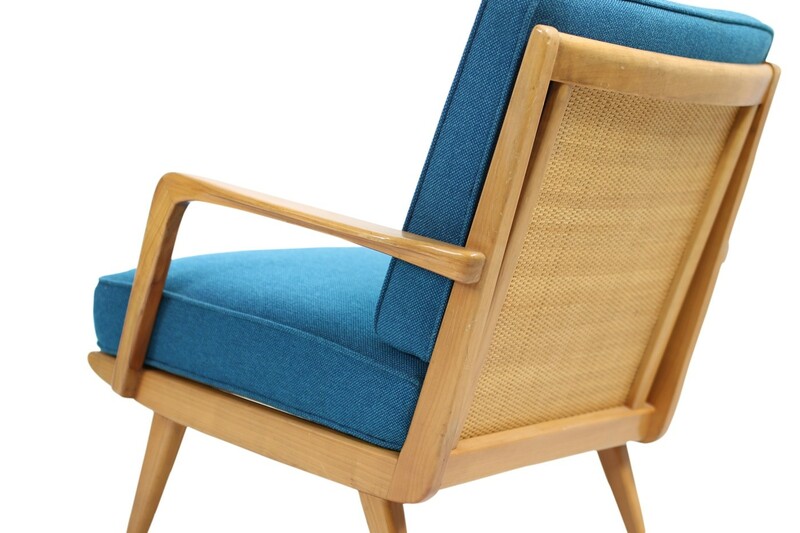 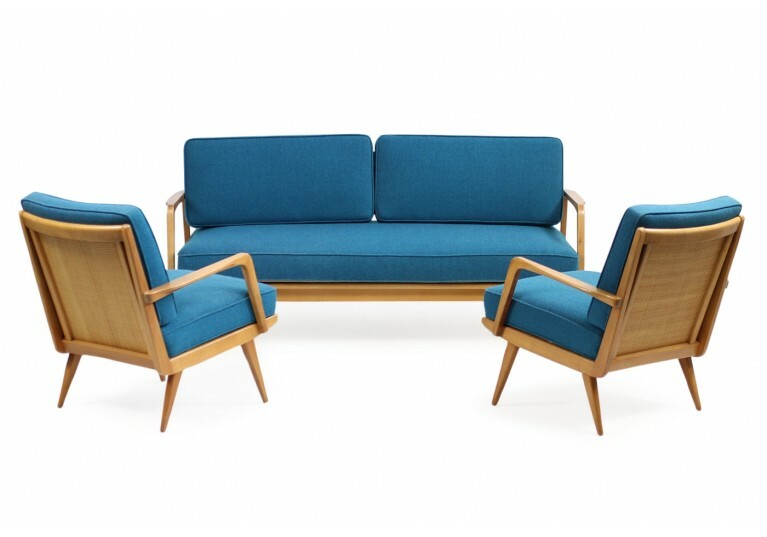 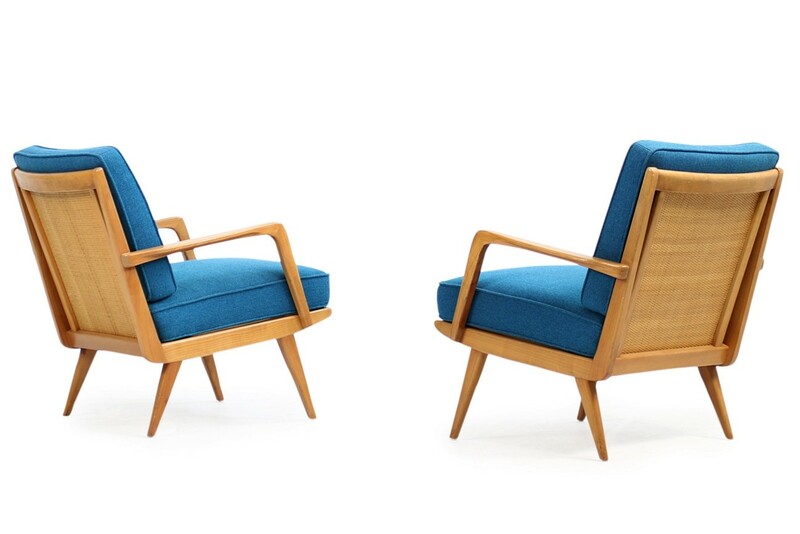 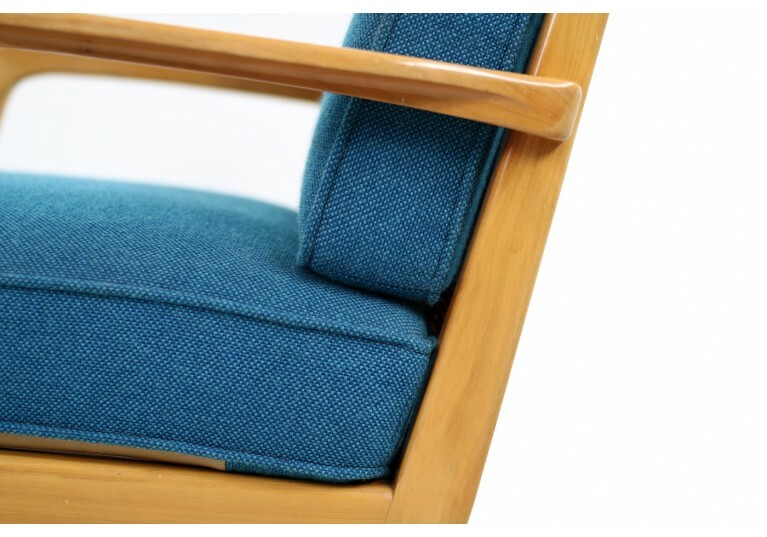 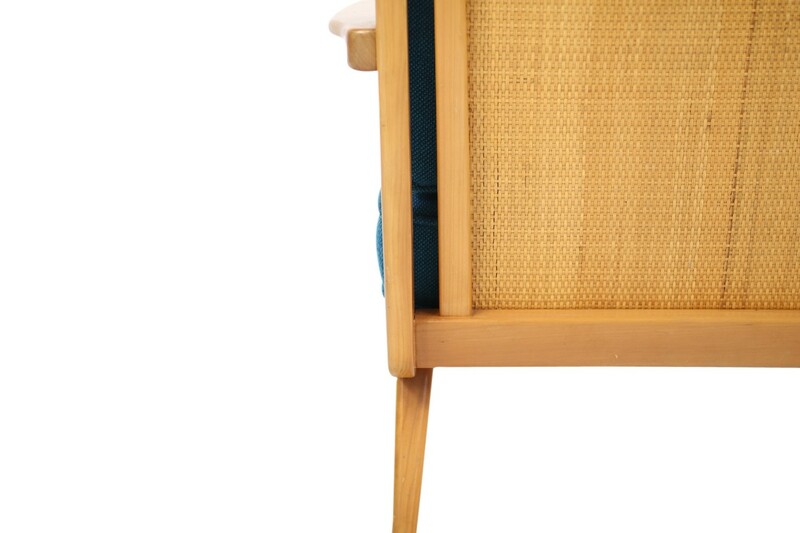 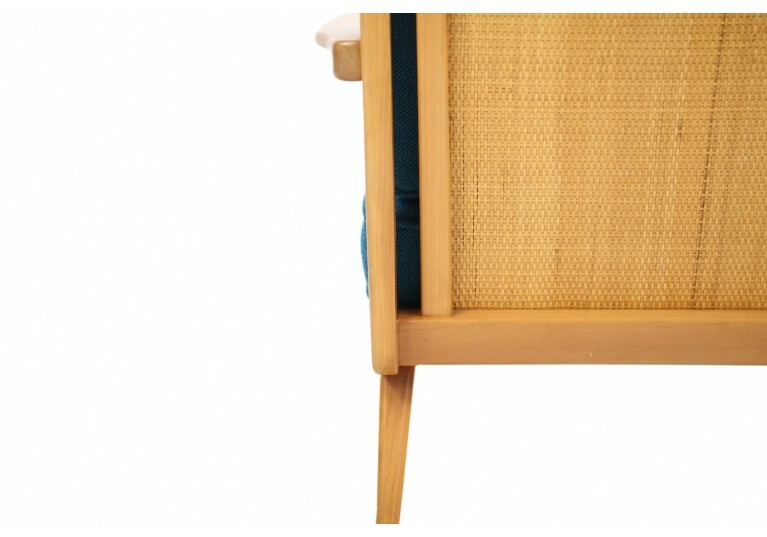 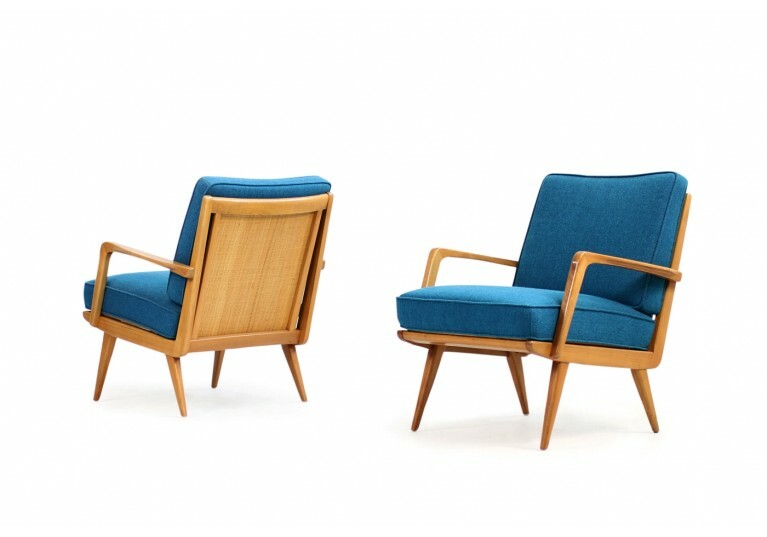 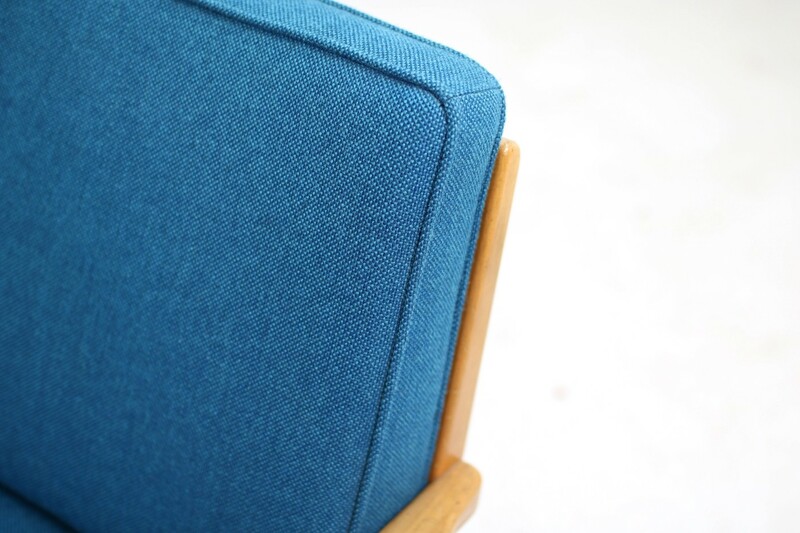 Beautiful and super rare pair of 1950s beech Easy Chairs. 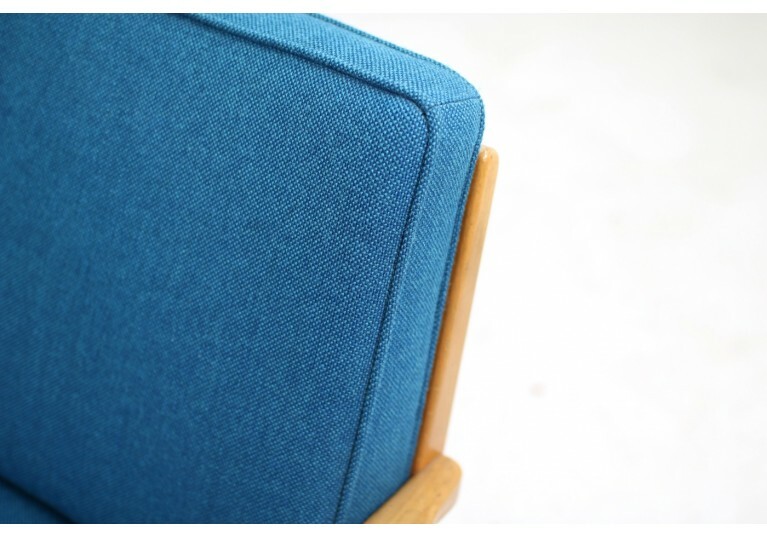 Chairs with the original upholstery and petrol fabric, fantastic condition, very rare edition, ES Eugen Schmidt, Germany ca. 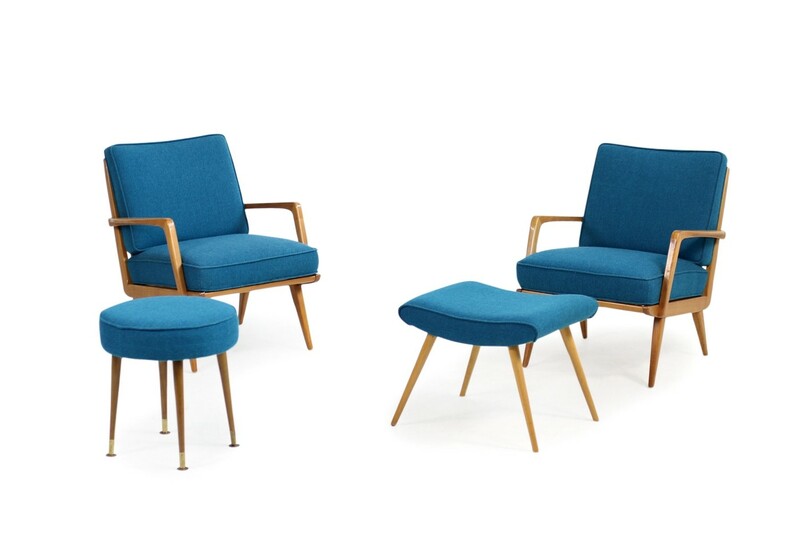 1948-1952 If you like to purchase the complete set, 2x easy chars, 2x stools and the daybed, please feel free to contact us.